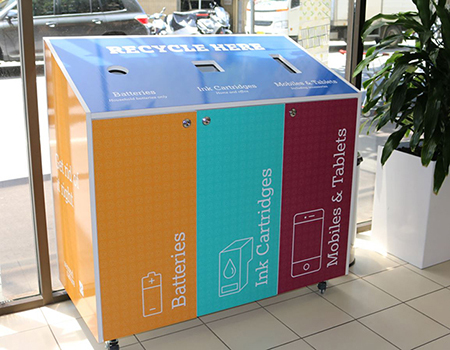 Waverley residents can now drop off their old mobile phones, tablets, ink cartridges and household batteries for recycling at Waverley Library and the Customer Service Centre. Batteries, phones, tablets and cartridges don't belong in our garbage bins. When these items are sent to landfill they can leach toxic or hazardous substances into our soil and possibly even contaminate surface and ground water. These items also contain valuable or non-renewable resources such as rare earth metals and plastics which can be recovered and incorporated into new products. 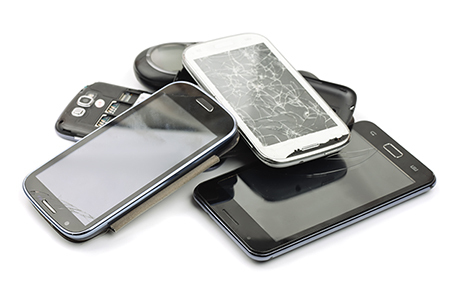 A number of precious metals including foil, silver and copper can be recovered from mobile phones or tablets. Batteries can be dismantled and made into new batteries. 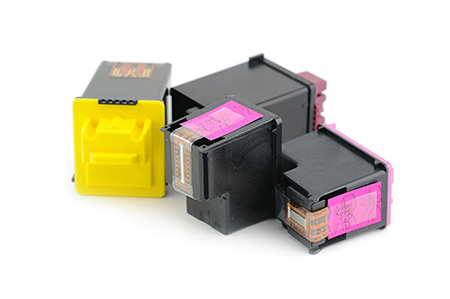 Plastics, metals and ink can be recovered from printer cartridges. Our recycling Stations offer a FREE and easy solution for the responsible disposal and recycling of problem waste items. These can go to a chemical clean out event or to the Randwick Community Recycling Centre. These can be taken to an E-waste Drop Off Day in March or November. 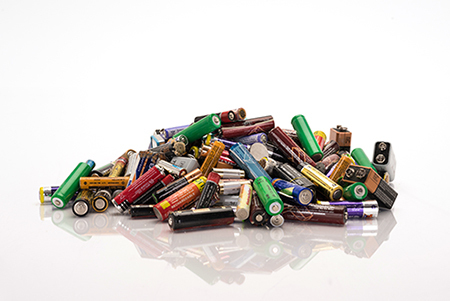 Batteries contain cadmium, lead and highly corrosive acid which are all extremely toxic, so it's important not to dispose of them in the general waste bin. When transporting a battery, handle it very carefully and ensure the acid does not leak. In no instance should batteries be burned. This releases dangerous fumes and can cause an explosion. Using rechargeable batteries will mean fewer batteries go to landfill. Where and when can I drop off these recyclables? Please remember these items are recycled, not reused. Before you use this service, consider whether your phone or tablet might be appreciated by someone else in your social circles or if it can be sold or donated to a charity.